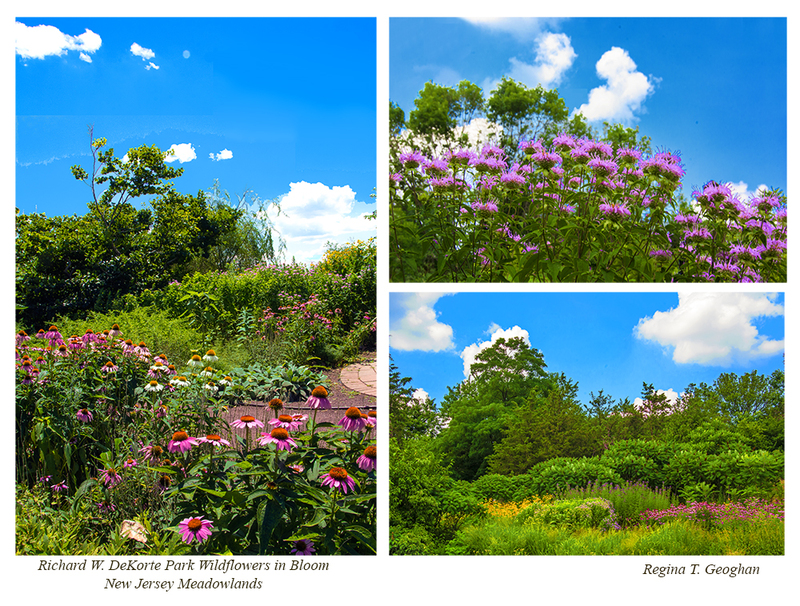 Three images of native USA wildflowers in bloom in pollinator garden patches in the New Jersey Meadowlands at Richard W. DeKorte Park. Regina Geoghan sent in these beautiful wildflower photos she took yesterday at DeKorte. Regina writes: The wildflower pollinator patches are blooming beautifully and adding cheerful color to the DeKorte Landscape. Kudos to Gabby-Bennett-Meany and her landscape workers for all of their hard work to make this happen and also to Don Torino and the Bergen County Audubon Society for the support provided for milkweed and other plantings. 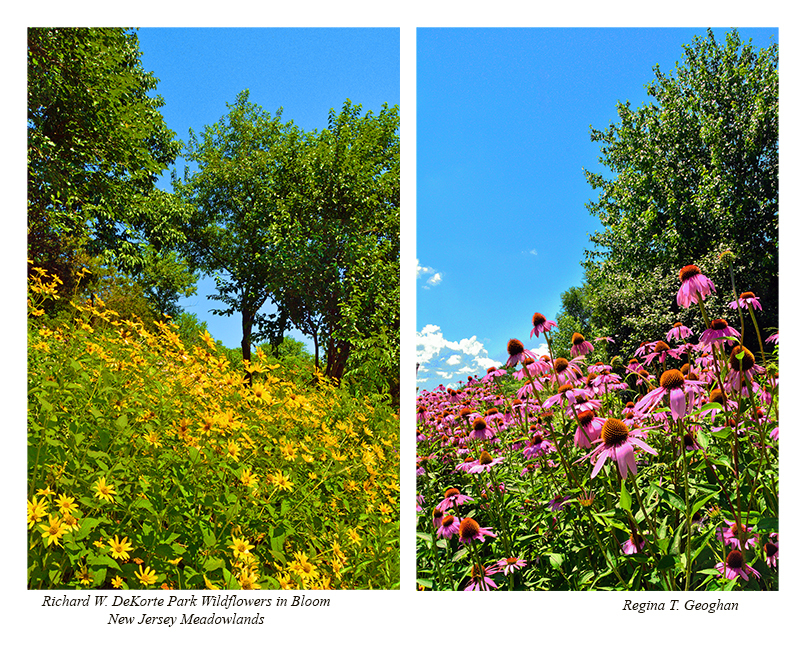 Two images of native flowers in bloom in pollinator patch areas of Richard W. DeKorte Park in the New Jersey Meadowlands.